With extreme sorrow and grief it is intimated that Comrade Mohamed Amin, former General Secretary of CITU and PB Member of the CPI(M) passed away at Kolkata today, 12th February 2018. He was 89. He was suffering due to ill health for some time. Comrade Mohd. Amin started his career as a jute mill worker at the age of 14 and became an active trade union worker. He rose from that position to higher responsibility in the trade union. Com. Mohd. Amin was a founder member of the Centre of Indian Trade Unions and became its secretary in 1987. He was elected as the General Secretary, which post he held from 2007 to 2010. He was a Member of Parliament in Rajya Sabha during the periods 1988-94 as also 2007-2013. He was also Labour Minister in the W.Bengal Government for two terms. He was elected as a Member of the Polit Bureau of CPI(M). During his tenure as CITU General Secretary and M.P. he was stationed at Delhi and was a great help to BSNLEU and guided the organisation on the right path and took up many issues in the Parliament for settlement. He attended the CEC meetings of the union held at Delhi in July 2008, at Kolkata in November 2008, at Mysore in August 2009 and at Bhopal in February 2010 and gave valuable advice. He was always a source of strength to the organisation. He was well versed in Urdu and his wrote many books. I read his book on the life of Com. Hyder Amir Khan, one of the founders of the Communist Party in India, in one reading without stopping, as it was so much thrilling and narrated the hard experiences of the earlier communists. After consulting Com. Amin, on my suggestion, Com.R.S.Yadav, former Circle secretary BSNLEU of U.P. Circle translated in to Hindi and was shown to Com. Prakash Karat, the General secretary of CPI(M). At the time of his death, he was a special invitee to the Central Committee of CPI(M). 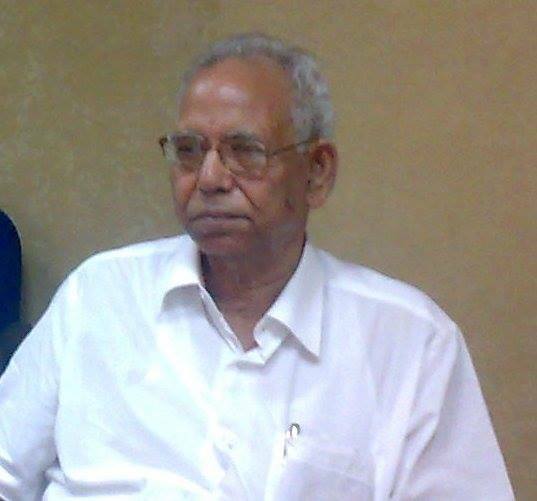 AIBDPA and BSNLCCWF express deep sorrow at the demise of veteran leader Com. Mohd. Amin and convey condolences to the bereaved family, friends and comrades! I pay respectful homage to the departed leader Com. Mohd. Amin. I fondly remember his speeches in various Employees fora including BSNLEU. Interestingly, he used to conclude all his speeches with an appropriate Urdu Shayari. Yes comrade. We will remember him always.